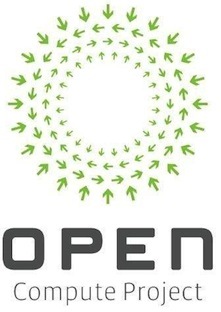 The Open Compute Project (OCP) has called for a separation of the core components of computer systems, with the aim of creating a more disaggregated path to upgrades and augmentations. The OCP has stated that it wants to see the “core components of system design” i.e. processors, motherboards and networking interconnects — all disaggregated so they can be upgraded independently. NOTE: The OCP is a user-driven group, with members including Facebook, formed in April 2011 with the intention of sharing customised datacenter (and ultimately other technology) designs to improve efficiency across the industry. Facebook says that OCP technology has delivered a 38 percent increase in energy efficiency at 24 percent lower cost for its business. The push for disaggregation is in “marked contrast” to the contemporary industry trends that lean towards converged systems combining servers, storage and networking into a single system. Convergence has gained some traction with customers in recent years due to the relative ease and speed of deployment that pre-integrated systems enable, but there are trade-offs in terms of cost and vendor lock-in.